Most of us will start a custom bike build with a genre, fashion or style in mind. You might want something that oozes classic café racer. Or maybe you’re thinking of a creation in a brat style with a touch of tracker thrown in for good luck. Hell, if you’re anything like me you’re probably planning the colour of the brake leads before you’ve even got a bike. But few of us have the skills or courage to just trust in your love of metal, your passion for bikes and your creativity and simply let the build happen. Which is exactly what Gian from France’s Tredici Custom Castings did. 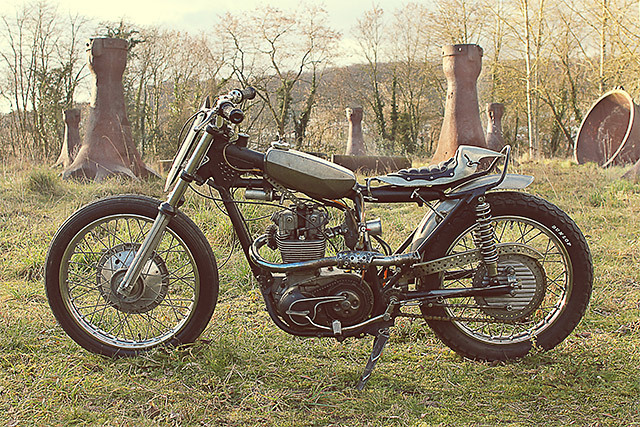 Meet his very groovy ‘Black Smoker’ Triumph.